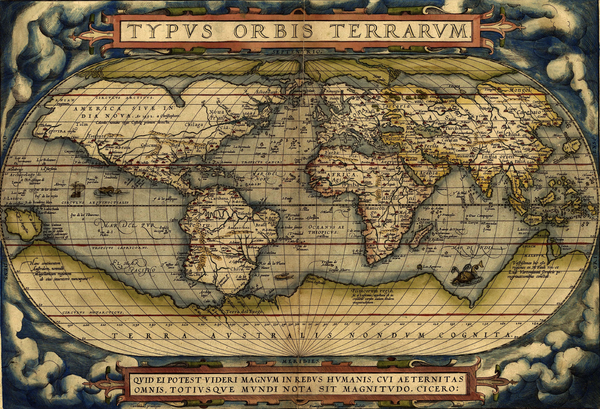 Typus orbis terrarum, from: Abraham Ortelius, Theatrum Orbis Terrarum (Antwerp 1570). A monograph written by Martin Korenjak will provide an analytical overview of the field. The introduction will briefly review early modern science, Latin as Europe's learned language of the time and the interplay between science and Latin, including tensions between linguistic classicism and the need for innovation, the development of the technical languages of the scientific disciplines and the relationship between Latin and the ascending vernaculars. The main part will present a genre-by-genre review of early modern scientific literature in Latin. The treatment of each literary genre will start from an overview of ancient/medieval models and contemporary related genres (including the vernaculars). Its formal features (length, structure, style, vocabulary, verse or prose) will be described and it will be characterised in terms of content (disciplinary range, level of technicality). The social and institutional environment of the genre and its intended readership will be elucidated and its historical development delineated. In order to substantiate the general analysis of each genre, one typical specimen will be examined in-depth along the aforementioned lines. In its final section, the book will go beyond a simple enumeration and characterisation of genres: It will sketch an overall image of Latin scientific literature as a meaningful system whose generic constituents colluded to introduce science to an unprecedented range of environments from universities and courts to learned societies and private households.